Ahead of the final grand prix of the 2017 F1 season, Pirelli has unveiled its new range of 2018 Formula 1 tires. The new selection adds an additional two extra compounds and colours, as well as fresh constructions, compounds and working ranges. mechanical grip is required, such as Monaco. Cinturato intermediates and wets expand the 2018 range to nine options. The new tires also introduce a new working ranges across the entire family as well, which together with the increased number of compounds, will allow tire nominations that are more specifically suited to each race next year. For Pirelli and the Teams, this also means that there can be more flexibility and variation in the tire choices, leading to extra opportunities when it comes to formulating creative race strategies. 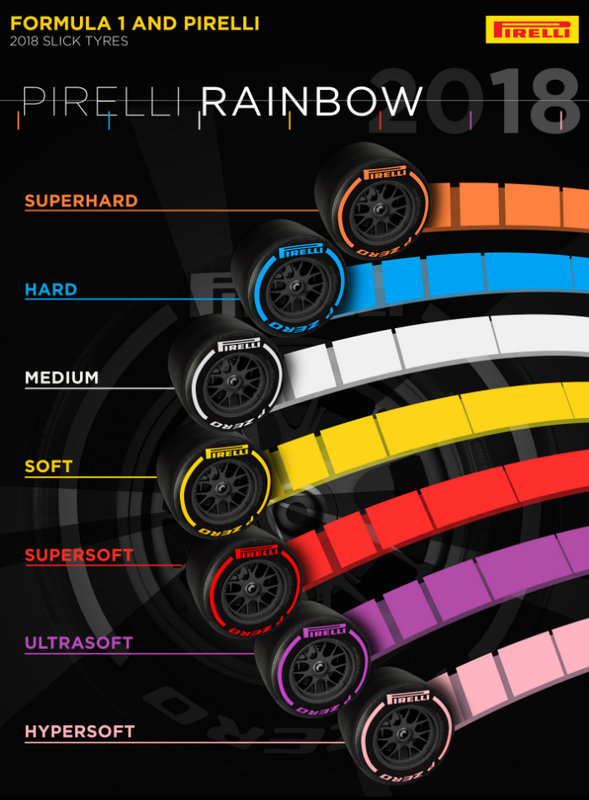 The brand new pink tire was named the P Zero Pink hypersoft following a poll across Pirelli’s social media channels, endorsed by the sport’s leading personalities, who invited fans to choose a new name after the Brazilian Grand Prix. “Compared to this year, when the tyres grew by 25 percent to fit a brand-new generation of cars, the changes for next year are less far-reaching,” explained Mario Isola, Pirelli’s head of car racing. “However, we’re pleased to present some important innovations with softer and faster compounds across the range: including the new hypersoft. We realised that, under the unique circumstances of this year, some of our 2017 compounds were perhaps conservative: the tyres we have created for 2018 addresses this, in line with the objective of having around two pit stops at most races.